Natural stone is one of the longest lasting and most gorgeous materials you can use in your home when it comes to countertops, shower interiors, and flooring. These stones, such as granite, travertine, limestone, marble, and even slate, have the potential to last forever, they do require special maintenance in order to maintain their integrity and beauty. Unfortunately, many people do not realize the specialized vulnerabilities of these natural materials and can damage them, while trying to clean and preserve them. 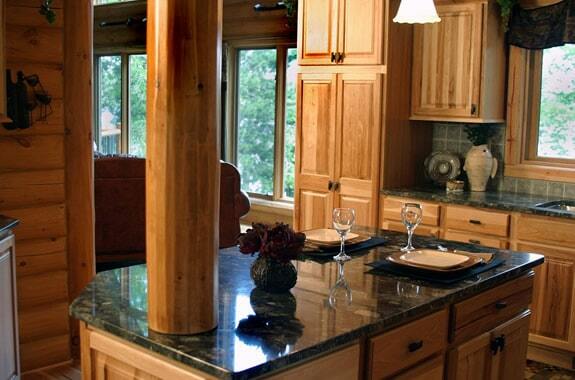 Natural stone is very porous, which leaves them open to damage and staining when not properly cared for. These stones cannot handle any acidic cleaners, or products that contain high PH levels. This is why at Modern Stone Care we have gone above and beyond to make sure, you are getting the highest quality care. We offer professional cleaning, sealing, polishing, honing, and restoration services. Additionally, we have made our own in house formula of cleaner for you to use between professional services. Modern Stone Care Stone & Tile Floor Cleaner is a neutral (ph 7) marble safe floor cleaner which is to be used for regular maintenance on any hard surface not harmed by water. It was originally made to protect calcite based stones, such as marble, limestone, & travertine, which are alkaline in nature due to the mineral content, from chemical etching. It’s no rinse, streak-free properties make this cleaner ideal for any hard surface, as it does not leave a dulling film or residue. Special organic slats in its formula act as “moisturizers” thus preventing natural stone from “drying out.” It also contains optical brighteners to enhance the finish of the surface on which it is used.